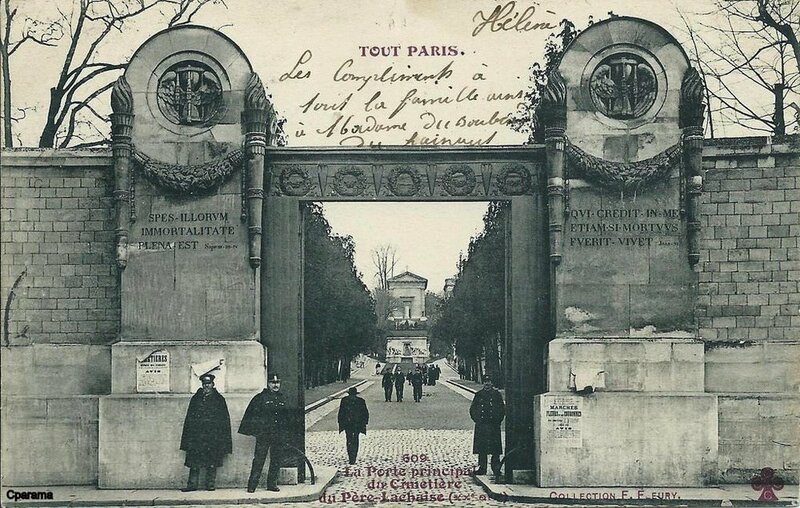 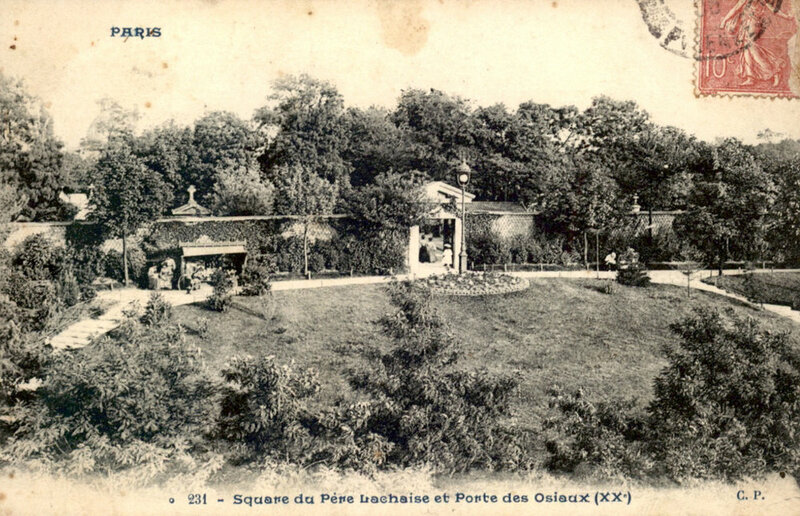 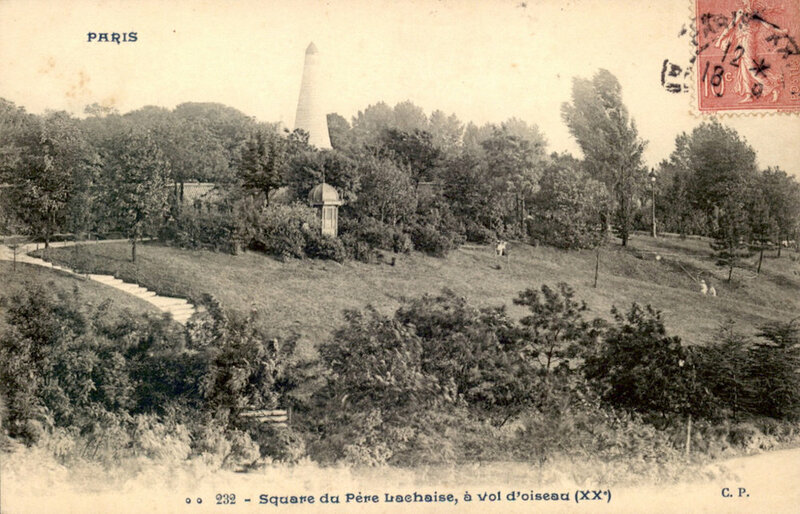 Vintage postcard series ~ Between the cemetery’s northern wall and Avenue Gambetta Square Père-Lachaise has been renamed in honor of the French explorer Square Samuel du Champlain, who also has a lake named him in North America. 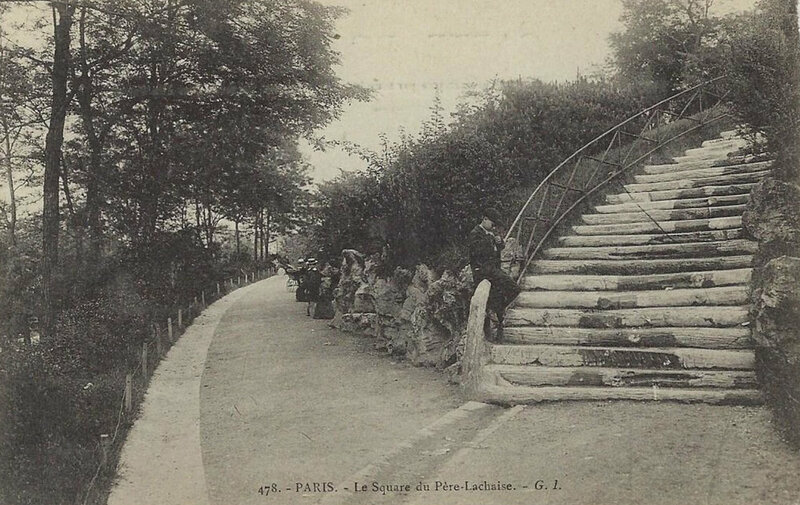 Rarely visited by tourists, the park is a peaceful place to sit and plan how you’re going to spend the rest of your life in Paris. 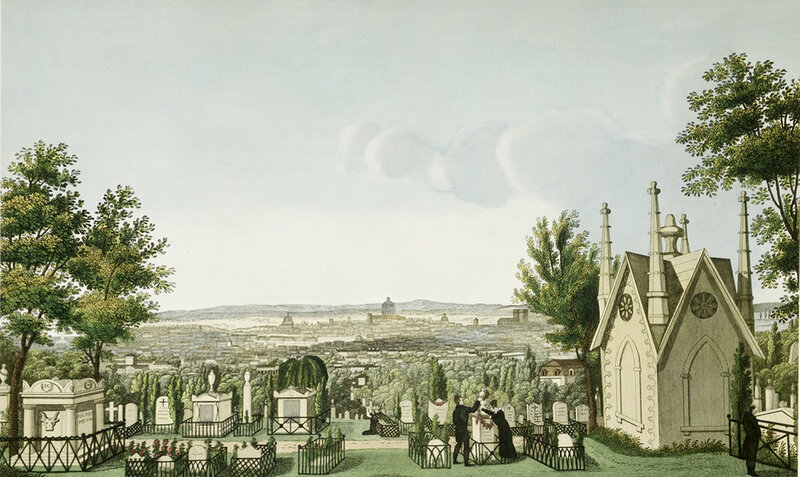 Note that one of the views you can see the old northern entrance to the cemetery, which has been closed for many years. 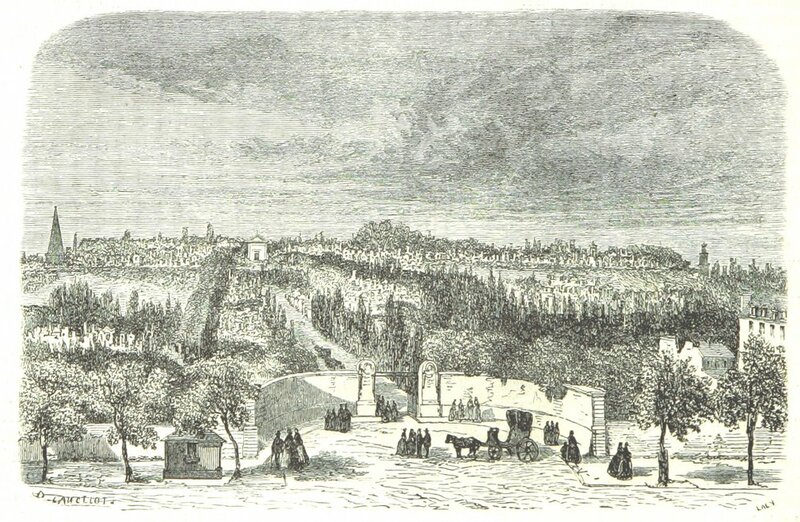 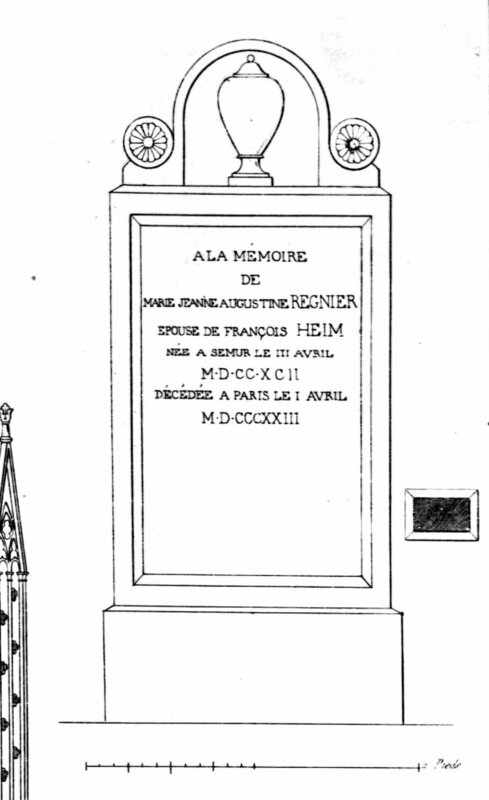 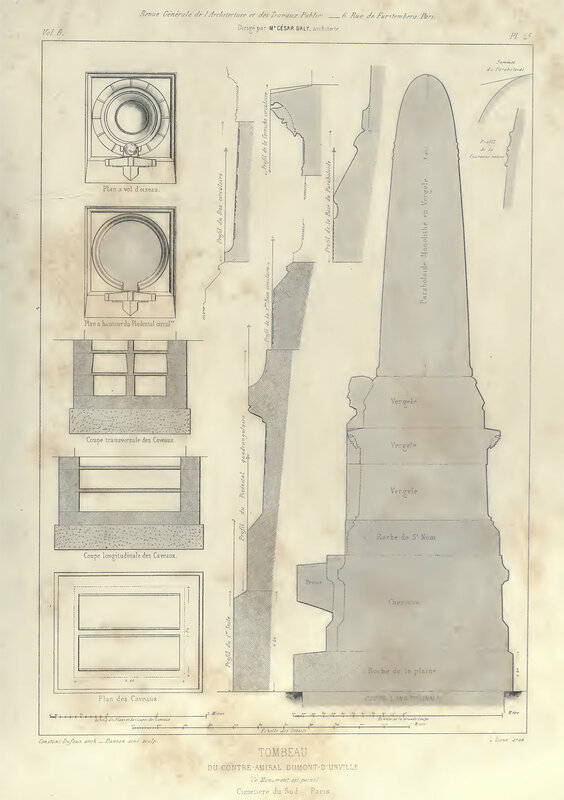 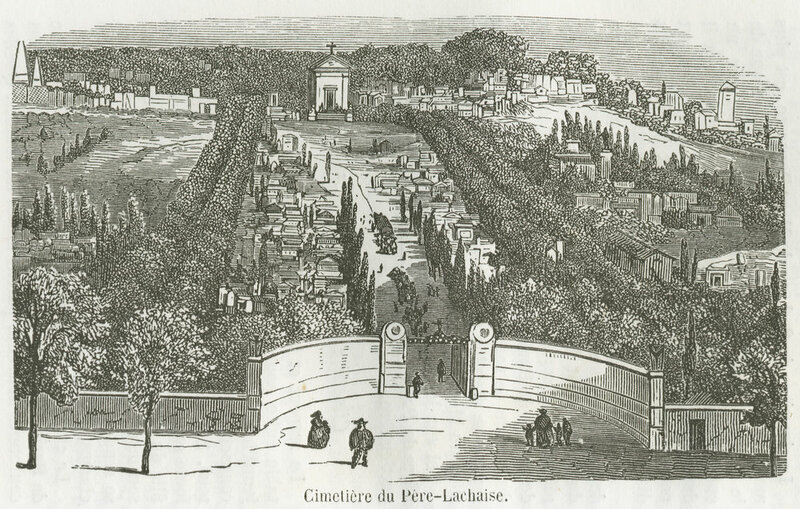 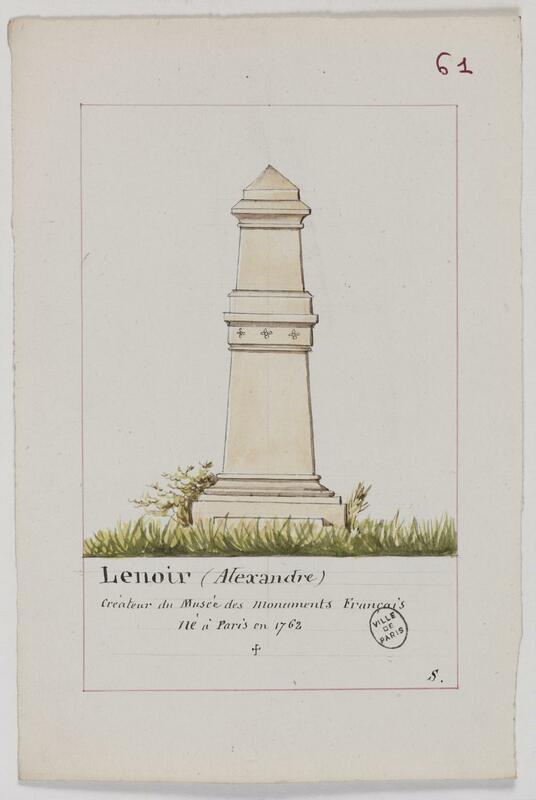 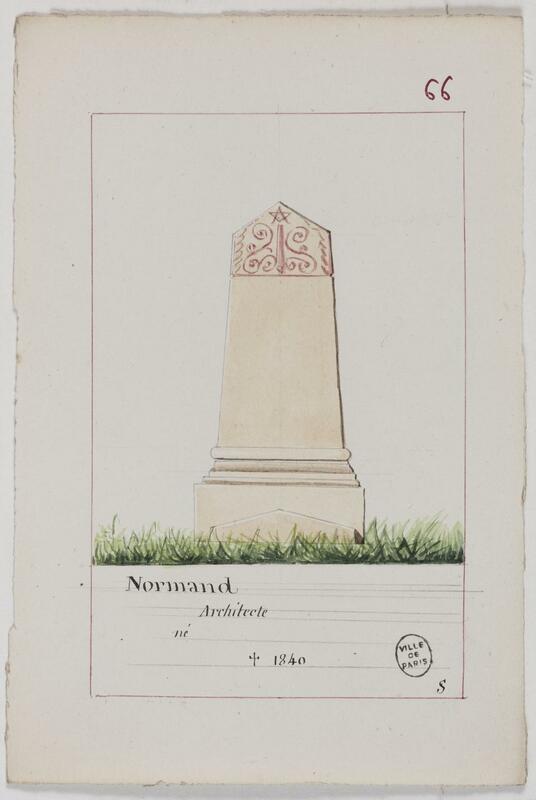 I've just just published my Guide to the Earliest Burials in Père-Lachaise 1804-1824. 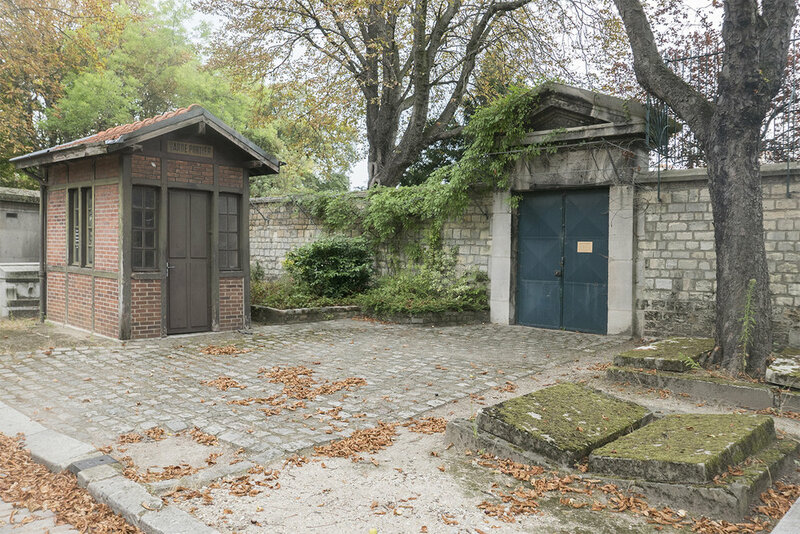 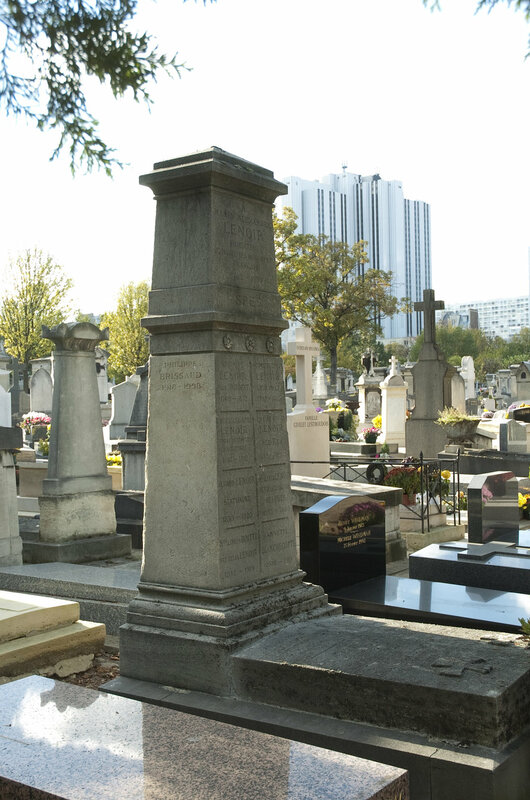 I've fallen under the spell of many others who have become obsessed with the first burials in Père-Lachaise and decided to share what I've learned so far. 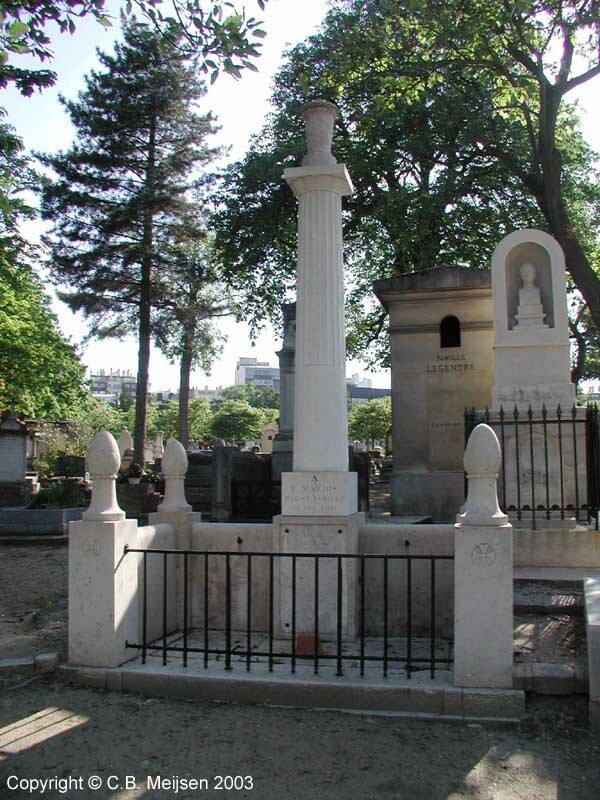 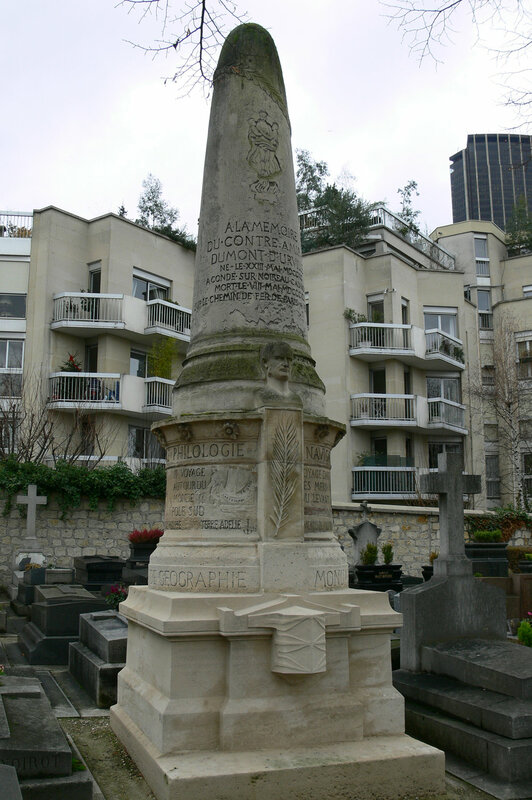 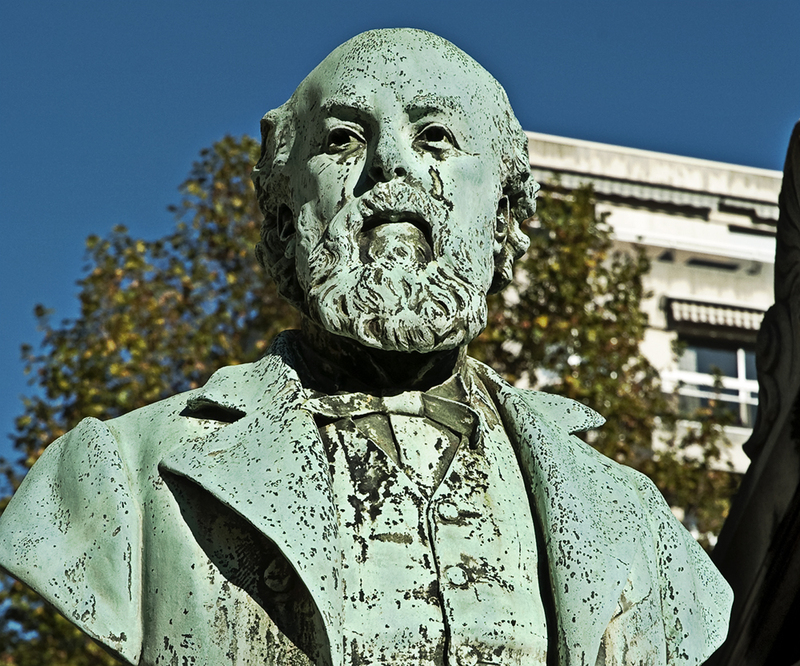 C. P. Arnaud (1817, 1823, 1825), Théophile Astrié (1865), Antoine Caillot (1808, 1809), F. M. Marchant de Beaumont (1820, 1821, 1828), Jules Moiroux (1908), Louis Normand (1832, 1863), Fernando Quaglia (1832, Roger and son (1816), M. P. Saint-Aubin (1816, 1825), and F. T. Salomon (1855). 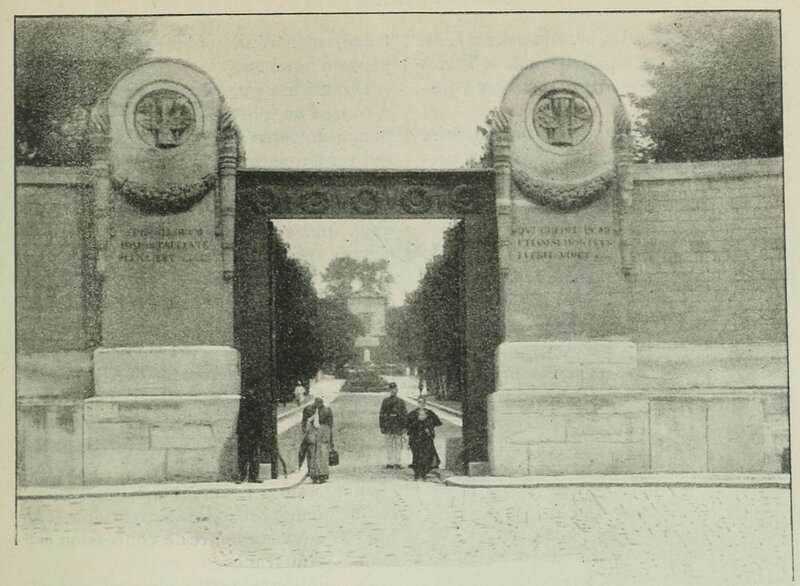 Lest you think the main entrance to Père-Lachaise is just a simple gate to a cemetery, think again. 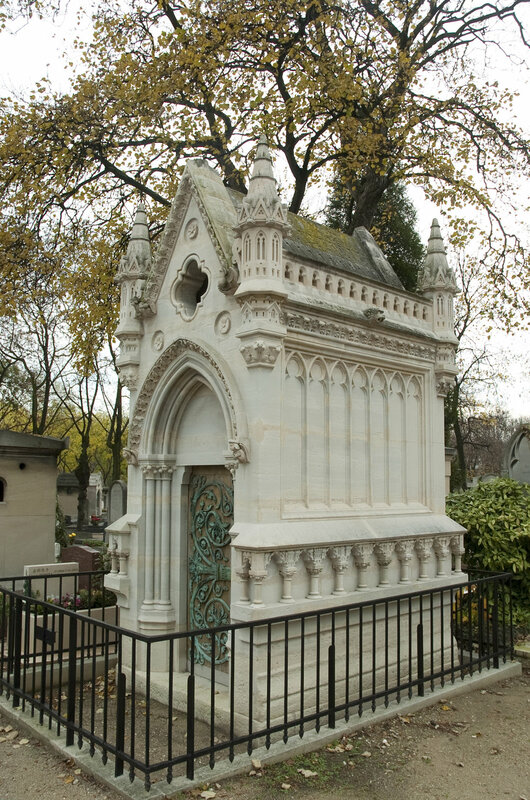 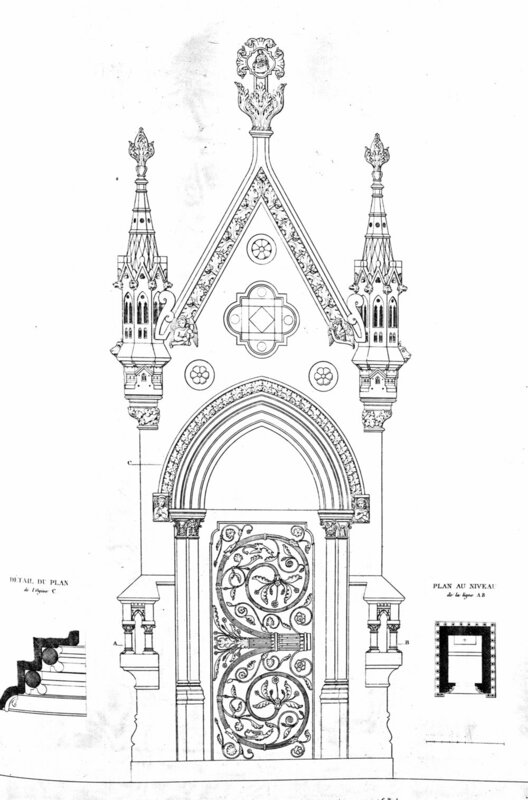 Because this is no ordinary cemetery this is no ordinary gate but a portal to a completely different world, a place to be experienced, to be felt, where you'll find stories to be told and retold. 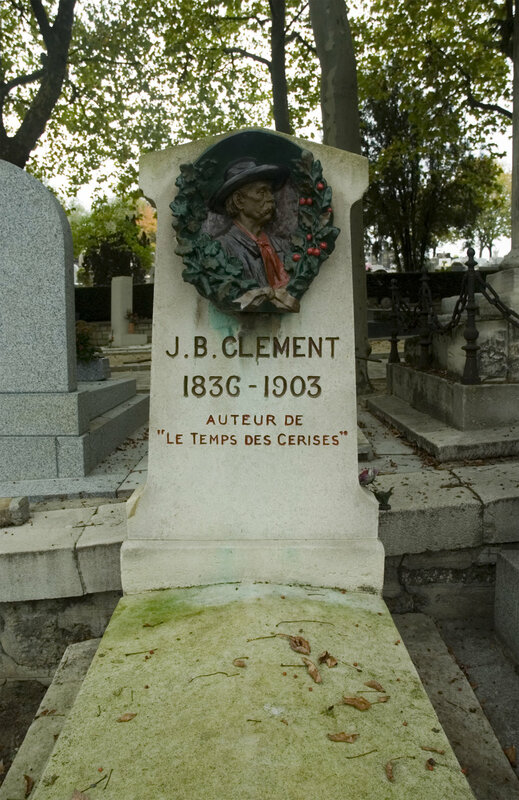 Oh, and the people you'll meet. 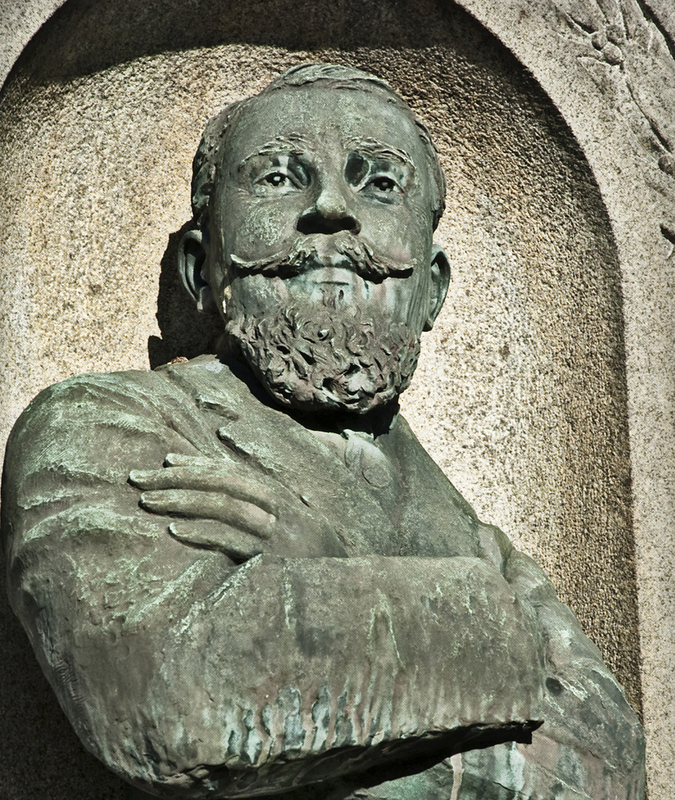 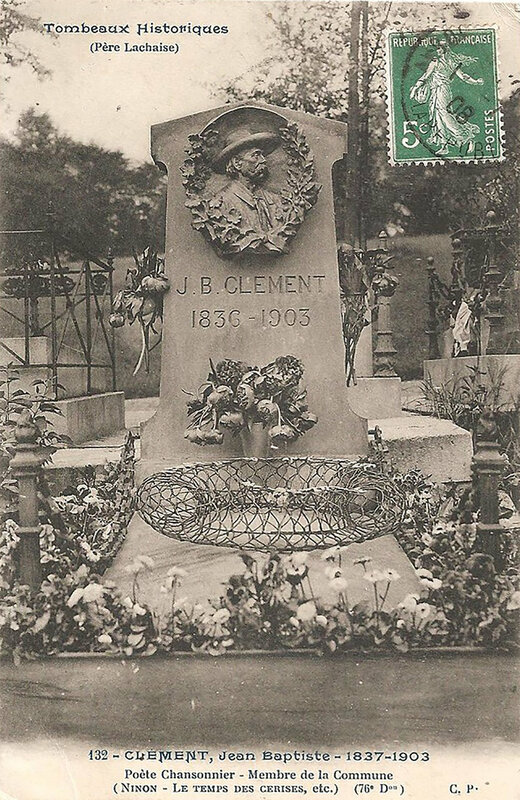 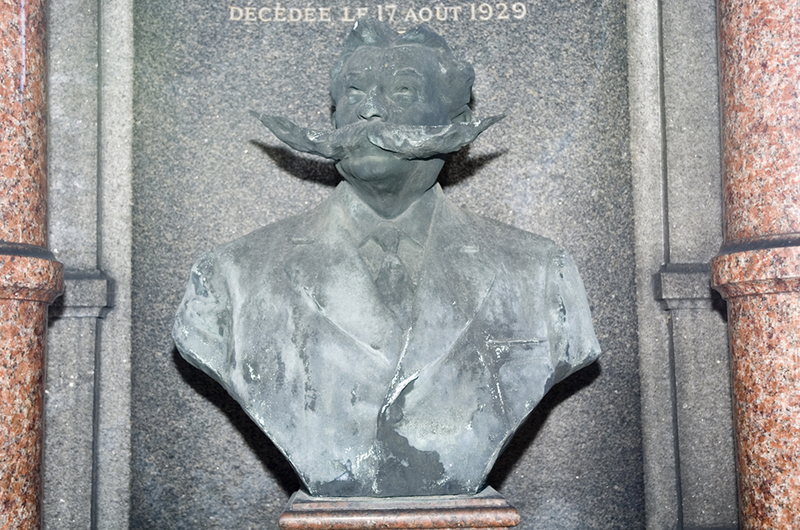 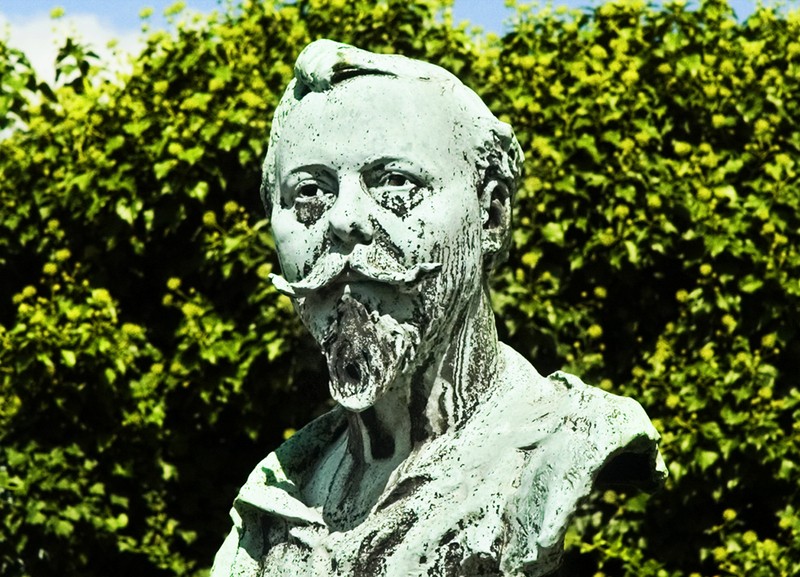 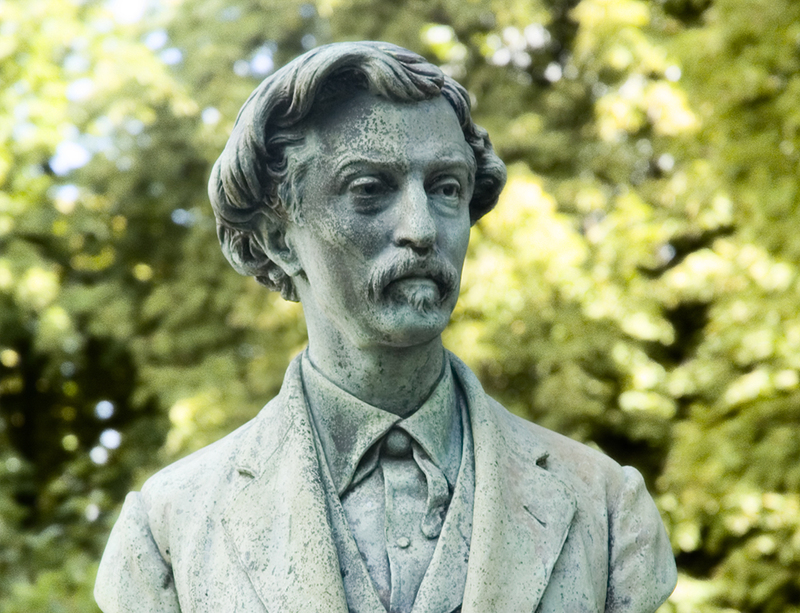 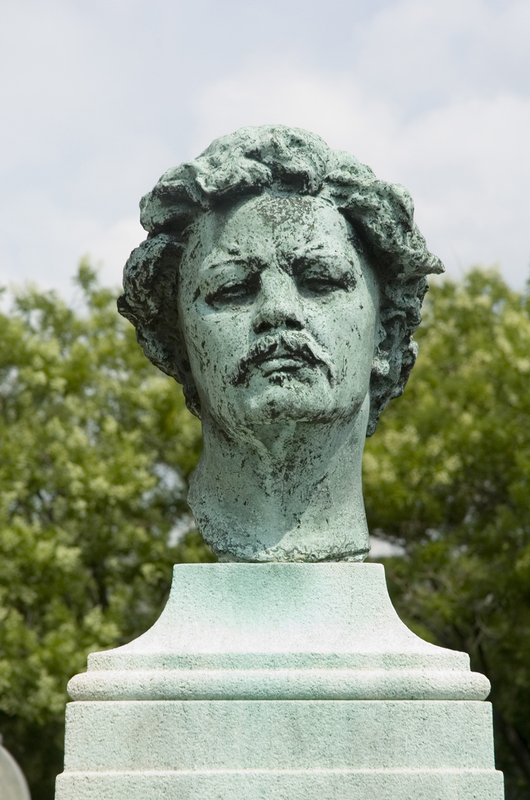 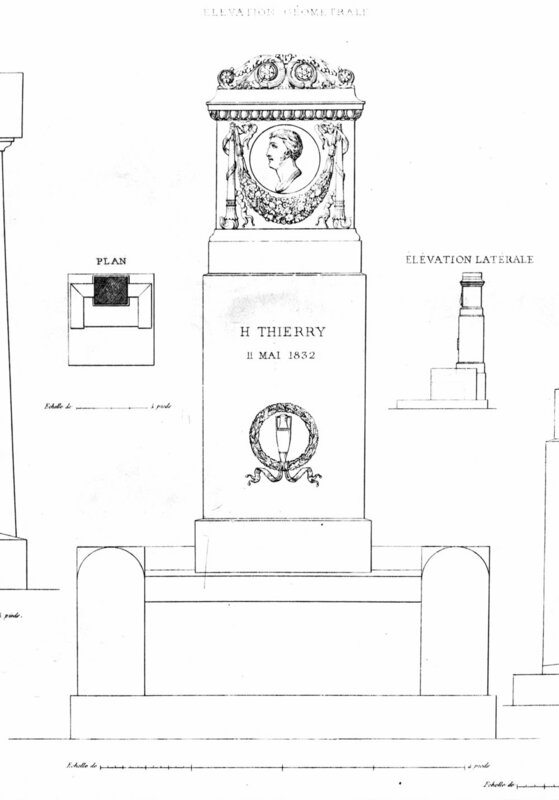 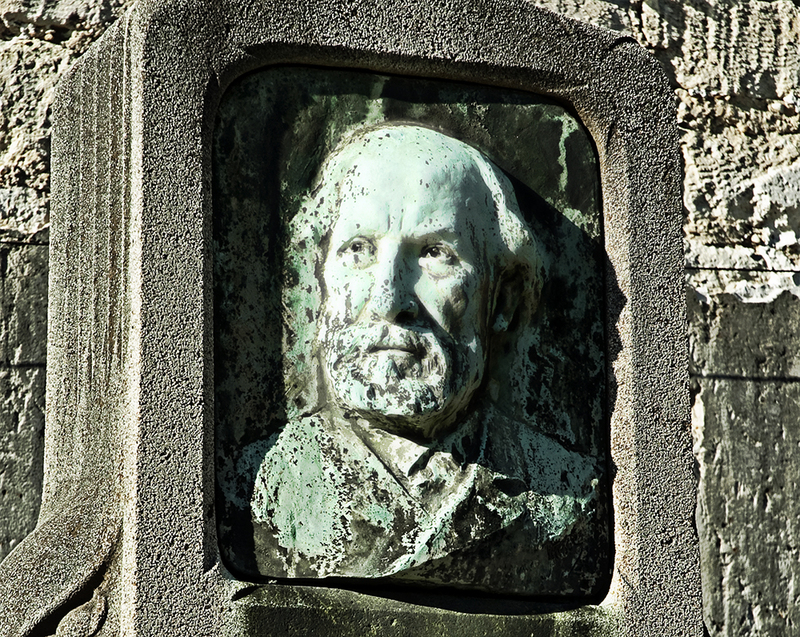 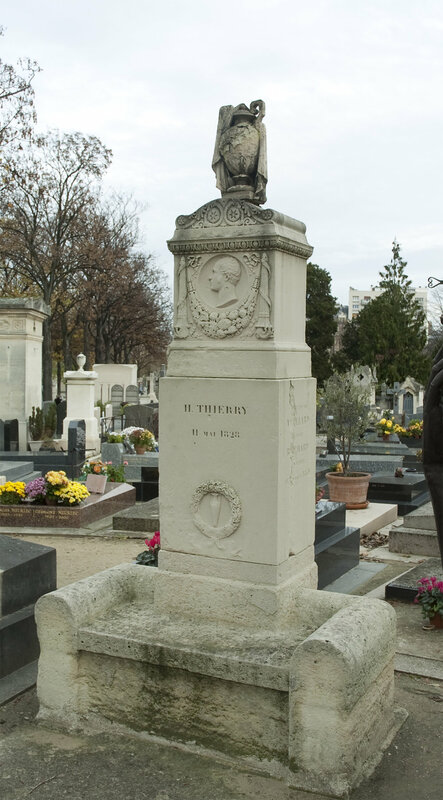 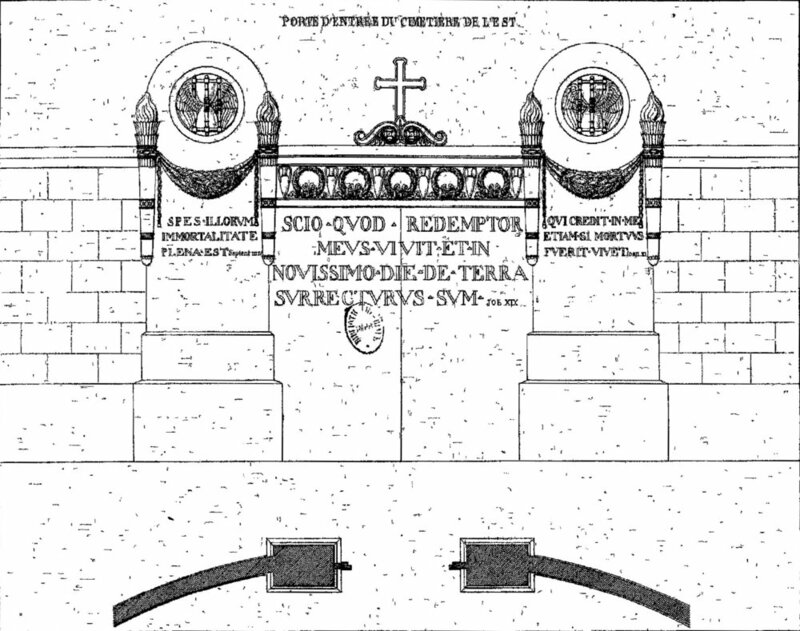 . .
A wonderful piece of sculpture in division 3 of Montmartre Cemetery by the noted artist François Duret: statue of the music composer Fromental Halévy in division 3 is now gone, replaced by just the original (?) 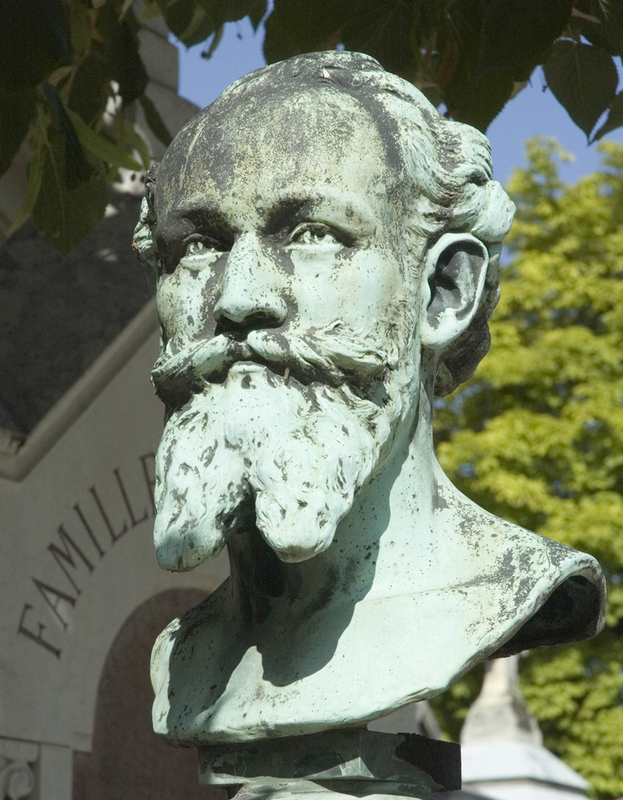 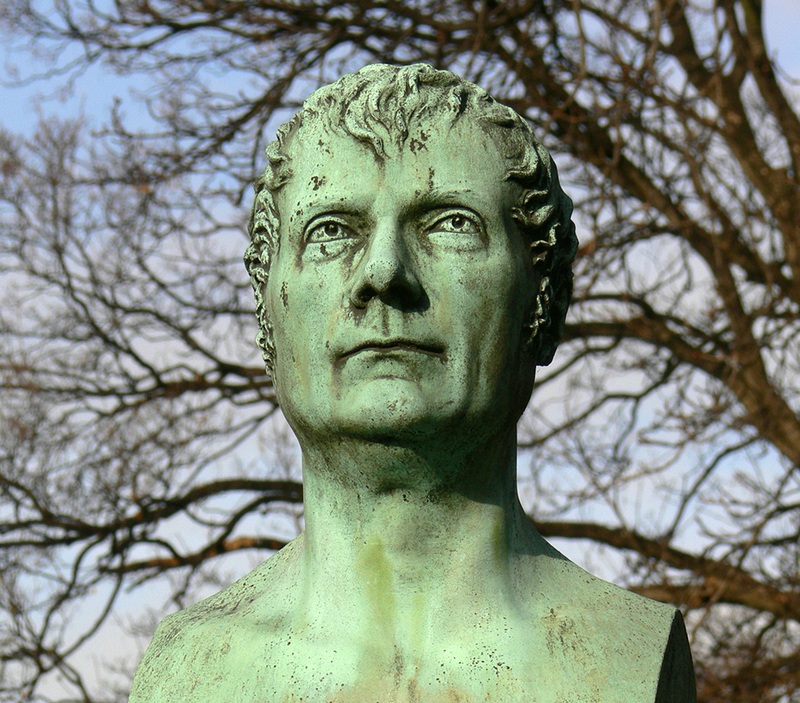 bust, a truncated bit of stone.